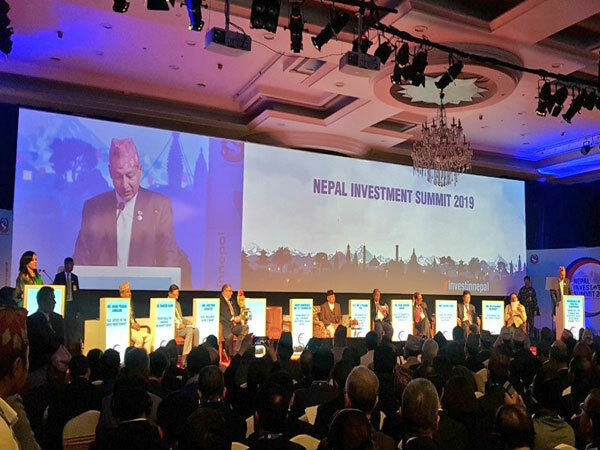 Kathmandu [Nepal], Mar 29 (ANI): The third Investment Summit began here on Friday. The Government of Nepal is showcasing as many as 77 viable projects worth the US $ 31.93 billion in two-day summit. Kathmandu [Nepal], Jan 17 (ANI): As many as 55 businessmen of Nepal have parked Nepali Rs 52,072,774,000 billion in Swiss Banks by defying the law of the land, the Center for Investigative Journalism (CIJ) has claimed. New Delhi [India], Jan 11 (ANI): The National Stock Exchange (NSE) Chairman Ashok Chawla stepped down from his position on Friday. New Delhi [India], Sept.25 (ANI): India has witnessed a five-fold hike in Foreign Direct Investment (FDI) in the telecom sector in the last three years, informed Union Minister of Communications Manoj Sinha. Nedlands [Australia], August 30 (ANI): As Maldives is heading closer to hold Presidential elections, the international community has raised concern over threat to liberal democratic norms under the leadership of President Abdulla Yameen in the island nation. New Delhi [India], Aug 1 (ANI): The Reserve Bank of India (RBI) Deputy Governor Viral Acharya on Wednesday said that the impact of MSP hike on projections is a challenging task. New Delhi [India], Aug 1 (ANI): The Reserve Bank of India (RBI) Governor Urjit Patel on Wednesday said that Monetary Policy committee (MPC) has projected the GDP growth at 7.4% for this fiscal year as in the June statement. Washington DC, [USA] July 31 (ANI): The US Food and Drug Administration (FDA) has warned against the use of devices that promise 'vaginal rejuvenation', stating that it can cause serious effects. New Delhi [India], July 19 (ANI): There are no two opinions that not only in the current but in the coming century, the world economy will revolve around Asian countries, especially India and China.